Happy Friday folks! Take some time to enjoy these great blogs today! good tots is loving this sequined maternity top - so cute! Check out this sparkly number is a fun maternity outfit! thought and musing has the perfect tourist outfit... a gorgeous maxi skirt, layers and a scarf! Perfect for travel wear - and so chic! strong sense of style is loving the bohemian look of kimono style jackets for spring and summer. Wow - these are just gorgeous! one hundred inspirations features this Kristen Cavallari outfit that has me craving boots and right before summer even! a spoonful of dish introduces us to the most gorgeous laptop bag - ever. Totally agreed - my laptop would be very happy in this bag! 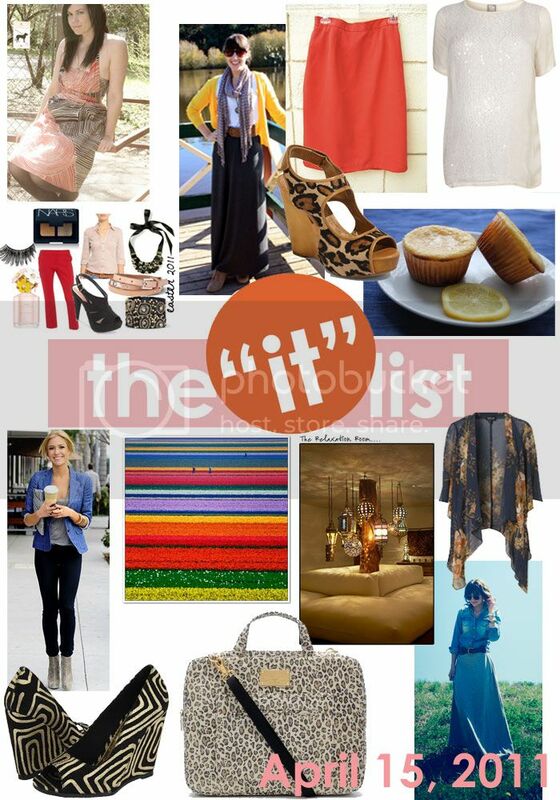 the IT list is produced weekly by Jill of good life for less - click here for information on how you can be involved!